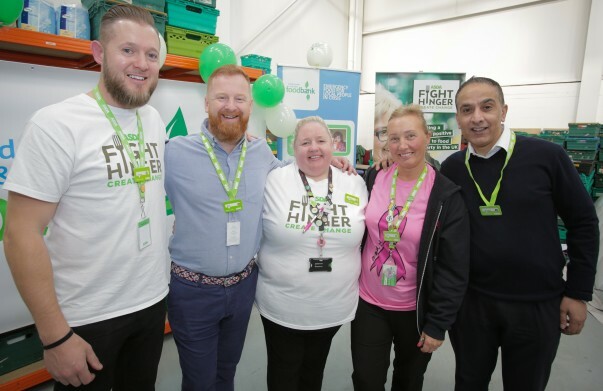 Asda's £20 million Fight Hunger Create Change initiative to help people in food insecurity has paid for a new distribution hub in Leeds, so our charity partners FareShare and the Trussell Trust can get good-quality fresh food to thousands more people in need across Yorkshire. Local community champions and managers joined volunteers from the charities for the opening of the new depot in Hunslet. It will enable FareShare to distribute more food to more foodbanks and community groups across the area. They're also sharing the base with Leeds South and East foodbank, who are supported by The Trussell Trust. 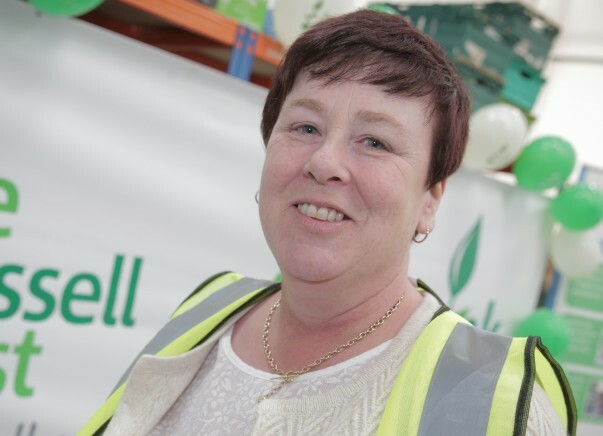 Wendy Doyle, project manager at Leeds South & East foodbank, said: "For us, this new premises is a dream. We can take in more food donations from the public because we've gone from a premises of 1,000 square feet to 5,500 square feet, and we've also now got two fridges which allow us to provide people with chilled food too. "This means we will be able to send more food out to the 12 distribution sites we've got across south and east Leeds. These open on different days for two hours a day. "As well as getting food, the guests have a cup of tea and a chat with our volunteers who are almost like agony aunts. "Normally, they don't tell the referral agencies the full story about why they're in crisis, but when they have a cup of tea with us we get the full story. We can then signpost them to agencies who can help them. "Last year we fed and supported more than 9,000 people, and we'll be able to help many more now we've got these new premises." Warehouse manager Steve Jarrett said: "This warehouse, which has been paid for entirely by Asda, is bigger, we've got twice the refrigeration space – it's just so much better logistically. "In time we hope it will help us to double the amount of charities and local organisations we supply food to." Barkat Ali, the manager of our Barnsley store, joined the volunteers at the depot's opening. He, said: "Being part of an organisation who get involved with something like this really resonates with you. It's quite emotional to speak to the volunteers here and hear the stories of the people they help. "So many people rely on these facilities. It's something that is very close to my heart, and I know is close to the hearts of so many of my colleagues." FareShare chief executive Lindsay Boswell said: "This new warehouse will enable us to scale up the number of people in this area we'll be able to help. "It allows us to access fresh produce from the supply chain and pass this nutritional, fresh produce on to foodbanks and other local causes. 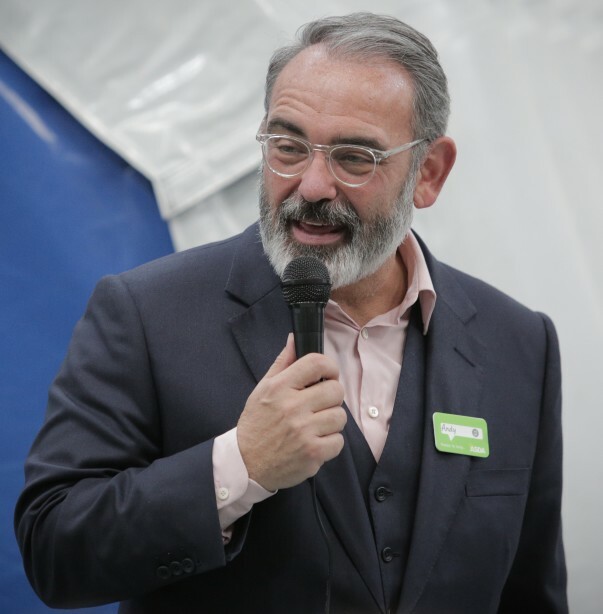 "It's truly inspirational, and we thank Asda for having the vision and bravery to bring together FareShare and The Trussell Trust to help people across the country who are in need." The new warehouse, which is just a few miles from our head office in the centre of Leeds, is the latest in a series of big initiatives with FareShare and the Trussell Trust as we invest at least £20 million over the next three years. Andy Murray, Asda's chief customer officer, said: "We have a responsibility to all the communities we operate in across the UK, but this is especially true in our home city of Leeds. 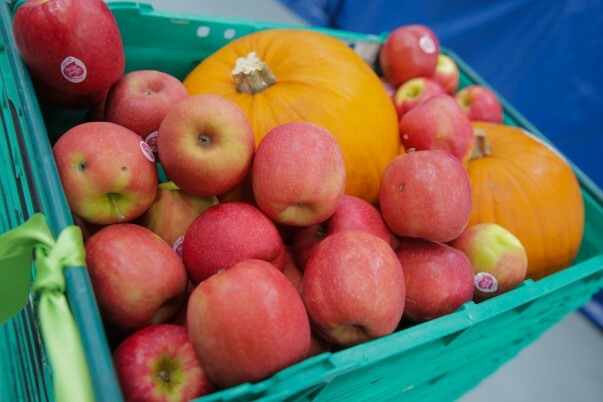 "Our programme will help make fresh food the norm in foodbanks, rather than the exception, and mean that each week, FareShare and the Trussell Trust can feed an additional 3,200 vulnerable people in Leeds alone with good, fresh food." You can find out more about the Asda Fight Hunger Create Change programme here.